We welcome you to our community of readers and the collections provided by the library. Our holdings include many thousands of fiction and nonfiction print books. Non-print collections include recorded books, compact discs, kits, and videos. Subscriptions are made for a wide variety of magazines for students and teachers. Students access our online catalog of materials using our OPAC computer stations. It can also be accessed from home. To access our online catalog of materials from home, click HERE. Our mission is to support the N.Y. State curriculum. The librarian and classroom teachers work together to find the best resources and use them to the best advantage. We also hope to foster life-long readers with a strong literature and storytelling program. Library classes are scheduled every week. 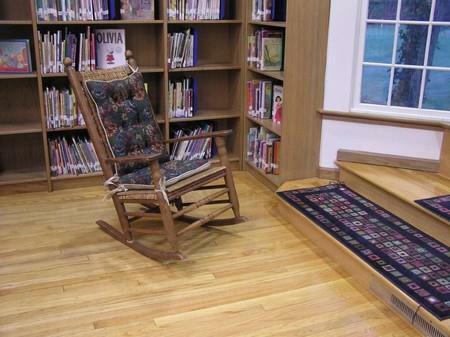 At other times, students may make use of the library with permission of the classroom teacher. Books, magazines, and other materials may be borrowed for a three week period. Students are encouraged to take all the books they can carry. They are expected to return borrowed books promptly. We ask you to help your child establish the excellent habit of returning the materials by their due date.